Good things often come in small packages with equally small price tags. Take these microphones for example – all priced under $100 and all deliver quality sound and function. These low-priced microphones will meet the needs of everything from a karaoke singer and set up to a bedroom musician and in some cases even professional studios, and still leave a little jingle in your pocket afterward. Gone are the days when you had to part with thousands to get an acceptable recording, and the days of technology are well and truly upon us. For musicians, podcasters, and pretty much anyone else who needs recording stuff, these developments are making life much easier. An age where you would need a recording studio and expensive gear is gone, and good quality field recordings, podcasts or even vocal or instrument takes for your music can be made using a mic plugged into your laptop or even phone or tablet. So, without further ado, let’s take a look at some of the excellent products on the market to help you with your recordings while on the go. The recording quality of the Samson Go is better than its pricing point would suggest, it comes with a clip, carrying case, an adapter to fit onto a stand and a USB cable as you would expect. Use with a tablet or phone does require an adapter, but these are not hard to come by. Will it be used on the next Radiohead album? Maybe not, but if you’re a podcaster, or a musician wanting to lay down a demo before going into the studio, this is perfect. I also want to look at something a little more ‘pro’ as an option, but actually, this is remarkably cheap for what it does too. 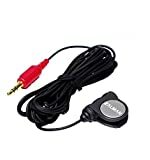 Neither of the solutions offered here is going to offer Abbey Road style recordings, but this mic is more designed for Guitar and Instruments and has a great frequency pickup for those. Less gadget and more awesome tool for recording. 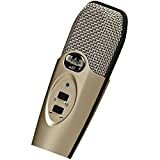 A couple of these mics could go a long way to a band creating their first demos, and while it is good for use on vocals, and doing things like voiceovers and podcasting, but features such as its ‘bass reduction’ for recording, are built more with instruments in mind than anything else. This is great for the portable, modern musician. Simply the easiest way to get high-quality sound for your voice and computer-based vocal recordings. The Blue Snowball ICE USB microphone delivers condenser quality detailed sound comparable to other budget condenser microphones. The custom cardioid condenser capsule offers clean audio for creating and recording. The Snowball is made to get great-sounding results, comes ready with a desktop mic stand and USB cable. It installs automatically, no need to find drivers! While it’s not the best microphone on our list, it certainly gets the job done and makes for a solid first microphone. You will get a considerably better sound than an unprofessional headset or handheld microphones. 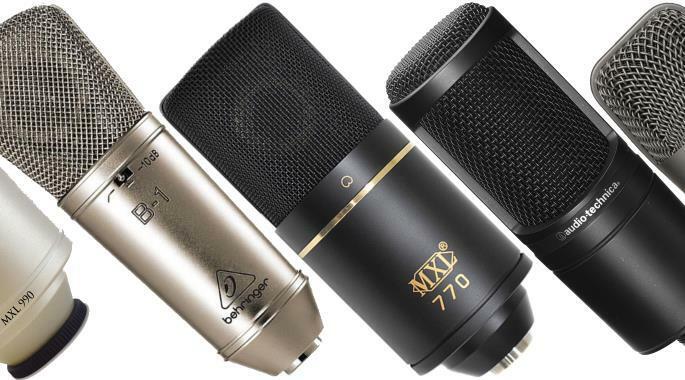 The MXL 990 is a home studio favorite; both for its low price and durability. It has a pricier microphone feel to it. It’s heavy, and nickel plated where the microphone falls short is in it’s boomier low end. It would probably sound nice on vocals without too much low end, but I’ve heard many rap vocals become “boomy” because of this microphone. If you have a good preamp, soundproof room, or the right voice, it is a good mic. It makes sense on our list of best budget microphones. It is a great budget microphone; it has a flatter more true sound and tone. It is warm and not too shiny or tinny on the high end. You can equip it with a nice pre-amp or interface, and take this mic to the next level. A great choice for a home studio. This low priced MXL microphone delivers the same quality sound as the MXL 990, but a little flatter. Depending on your sound needs, MXL has a USB microphone for under $100 that will meet that need. The Audio-Technica AT2020 is a smooth budget condenser microphone. If you make this your choice, you will experience a higher end sound, on a lower end budget. It has smooth highs and cuts through the mix decently. It can also be used on other instruments, a fair microphone for any microphone locker. At its price, it’s simply a steal. This low-cost handheld delivers big sound and allows you to record directly onto your computer. Simply plug in and start recording your songs, podcasts, voice-overs or instrumentals. It is compatible with Windows and Mac and will cost well under $100. 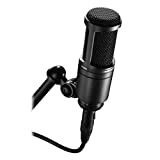 If the hands-free approach to recording is what you are looking for in addition to a quality mic at a low price, the Zalman Zm-Mic1 meets the criteria. The light-weight head-worn microphone allows for uni-directional sound recording while allowing the hands-free user freedom, great for those of us who want to record while gaming easily and also those of us who want to use it to perform live. This mini mic’s body transmitter needed for use when recording quality sound.